This is a critical moment in the development of our young democracy. Our economy is currently under great strain, affected by both global and domestic pressures and by the lasting structural constraints of the apartheid economy. By CYRIL RAMAPHOSA. Our political life is fractious, with public sentiment appearing to be more polarised and public discourse more charged – and more shrill – than at any other time since 1994. There is discord within the democratic movement itself, with different formations adopting opposing positions on key issues of the day. We must be honest enough to admit the depth of the political, economic and social challenges our country faces. And we must be courageous enough to recognise the domestic and global conditions that give rise to these challenges. But courage also resides in acknowledging the subjective factors – issues that are a consequence of our own action or inaction – that aggravate the situation. Yet, even amid the great difficulties we now confront, there is progress, there is development and there is hope. Even as we struggle with a low growth rate and come to terms with the impact of recent ratings downgrades, work is being undertaken across the economy to boost investment, expand our productive capacity, improve our skills levels and develop our economic infrastructure. At the same time, we are witnessing greater collaboration and co-operation between social partners on critical economic issues. There is a growing acceptance among all social partners that it is only through collaboration that we will achieve sustainable growth that increases employment and improves livelihoods. This has been evident over the course of the last year in the Presidential CEO Initiative. This partnership between government, labour and the country’s leading CEOs arises from a recognition that we need to mobilise the skills, capabilities, energy and, importantly, resources of all sectors of society. The agreement that was recently reached between social partners on a national minimum wage and labour stability signalled the determination of the social partners to work together to address even the most difficult challenges in our society. From these initiatives, and from several others, we see emerging the seeds of a social compact for inclusive growth. For more than two decades, South Africans from all walks of life have been working to build a united, equal and caring society from the ruins of racial oppression. But our long walk to freedom is far from over. More than two decades into democracy, the face of poverty remains black and, in particular, African. Many of our people still experience social marginalisation and economic exclusion. They desire training opportunities and want to work. They want access to land and the means productively to farm it. They want to own factories and start enterprises to employ others. To fail them would be a betrayal of their confidence and a dereliction of our responsibility towards the Constitution. The call for radical economic transformation seeks to address these fundamental issues. 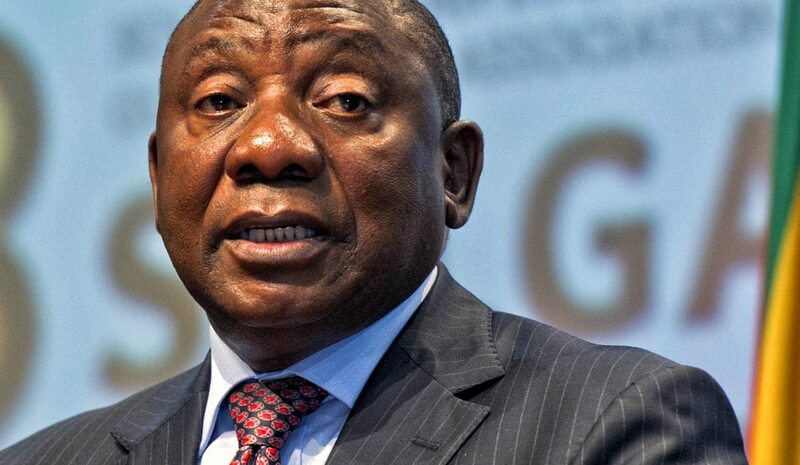 Even as some people may want to deploy the concept to pursue selfish personal objectives – or simply to cast aspersions on the revolutionary credentials of others – radical economic transformation has substance, meaning and relevance. It is a response to the needs of the people. Radical economic transformation is fundamentally about inclusive growth and building a more equal society. It is about drawing into meaningful economic activity the one-third of working age South Africans who currently languish on the outside of the economic mainstream. It is about a massive skills development drive that prepares young South Africans for the workplace of the future. Inclusive growth requires fundamentally changing the ownership patterns of the economy, at a faster rate and in a more meaningful manner than at present. It requires that we redistribute agricultural land on a far larger scale and at a far quicker pace, and that we properly equip the new owners of that land to farm it productively and sustainably. The National Development Plan identified agriculture and agro-processing as significant potential drivers of growth and jobs. With a few key interventions – such as the expansion of irrigated land, higher levels of commercial production and improved support for small-scale agriculture – it estimated that this sector could create up to a million new jobs by 2030. Radical economic transformation requires also that we leverage our massive infrastructure investment more strategically and more deliberately to build local manufacturing capacity. This should be part of a broader effort to benefit from the massive infrastructure programmes that will take place across the African continent for several decades to come. It also requires that we create a new generation of black industrialists. Government, through its development finance institutions and other agencies, is putting significant resources into this effort. To date, the Department of Trade and Industry has approved over R1-billion in grant finance to 36 projects undertaken by black-owned and managed businesses. This programme, once it reaches scale, will both contribute to the re-industrialisation of our economy and help redefine our approach to black economic empowerment. Black business people will no longer be mere minority shareholders in established business. They will be producers and financiers who start their own businesses and run them. If we are to change ownership patterns, we need to create opportunities for new black entrants into sectors of the economy currently dominated by a few players. We need to use our competition law more directly to lower barriers to entry and prevent anti-competitive behaviour. As we pursue a more inclusive economy, we need also to ensure that communities and employees have a stake through mechanisms like employee share ownership schemes and profit sharing. We are also working to address the significant challenge of youth unemployment, one of the greatest obstacles to inclusive growth. This includes massively increasing access by young people to vocational training and apprenticeship programmes. Deracialising the economy means leveraging the procurement spend of the state – and of the private sector – in a fair and transparent manner to promote black- and women-owned businesses. Priority must be given to ensuring black ownership in emerging sectors of the economy, such as in natural gas and the ocean’s economy. Underpinning all these measures is a concerted effort to significantly increase the level of investment in the economy. We need to improve investor confidence by continuing to contain our national debt, preventing further investment downgrades, improving the governance and financial position of state-owned enterprises, and maintaining international norms and standards in the regulation of the financial sector. In truth, the work of radical economic transformation is already under way. What is urgently needed is systematic action by government, in partnership with other social partners, to increase the scale and pace of our interventions. In those areas where we have encountered problems we must move with speed to find innovative ways of resolving them. We need more focus and collaboration. We need to mobilise more resources, use the resources we do have more effectively, and eliminate all forms of wastage and rent-seeking. Cyril Ramaphosa is the Deputy President. This is an edited version of an address delivered to the Black Business Council dinner, 19 April 2017.